MAPS™ GSM Abis Software Ver 6.4.22 (64-bit Only) | Download Now! GSM stands for Global System for Mobile Communication and is an open, digital cellular technology used for transmitting mobile voice and data services. 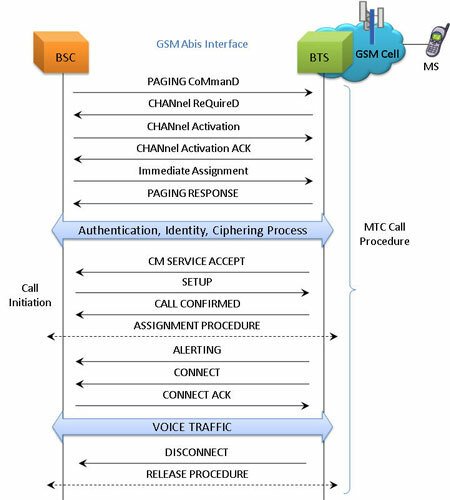 A GSM network is made up of multiple functional entities and interfaces that facilitate sending and receiving of signaling and traffic messages. It is a collection of transceivers, controllers, switches, routers, and registers. The GSM network can be divided into following broad parts. The MS and the BSS communicate across the Um interface, also known as the air interface or radio link. BTS and BSC will communicate across Abis interface and The BSS communicates with the Network Service Switching center across the A interface. The Abis interface is used between the BTS and BSC. At this level, the radio resources at the lower portion of Layer 3 are changed from the RR to the Base Transceiver Station Management (BTSM). The BTS management layer is a relay function at the BTS to the BSC. The RR protocols are responsible for the allocation and reallocation of traffic channels between the MS and the BTS. These services include controlling the initial access to the system, paging for MT calls, the handover of calls between cell sites, power control, and call termination. The RR protocols provide the procedures for the use, allocation, reallocation, and release of the GSM channels. The BSC still has some radio resource management in place for the frequency coordination, frequency allocation, and the management of the overall network layer for the Layer 2 interfaces. GL’s MAPS™ is an advanced protocol simulator/tester for GSM Abis interface simulation over TDM and IP that can simulate BTSM messages and signaling specification as defined by 3GPP standards. The tester supports testing network elements BTS and BSC, Error tracking, regression testing, conformance testing, load testing/call generation and generation of high volumes of GSM traffic. It is able to run pre-defined test scenarios against GSM Abis interface test objects in a controlled & deterministic manner. MAPS™ emulator for GSM Abis protocol over TDM (with XX693 license) and over IP (with PKS134 license) supports powerful utilities like Message Editor, Script Editor and Profile Editor, which allow new scenarios to be created or existing scenarios to be modified using BTSM messages and parameters. MAPS™ GSM Abis over TDM supports TRAU traffic with additional licenses. The TRAU Traffic commands includes Transmit TRAU DTMF Digits (Send TRAU File, Send TRAU Tones), Receive Actions (Monitor TRAU Digits, Rx TRAU File, Monitor TRAU Tones), and Stop Traffic Actions. GL has enhanced the MAPS™ protocol emulation tool to simulate multi-protocol and multi-interface offering a complete range of test solutions, covering the entire 2G, 3G, and 4G network. By mimicking real-world customer behavior in lab environments, our solutions allow mobile operators and equipment manufacturers to verify their wireless networks before deployment. In other words, one can setup a virtual real-time network simulating all the network elements using “MAPS™ 2G Wireless Lab Suite”. The test suite supports simulation of GSM Abis, GSM A, C/D/E, Gb, and GnGp interfaces. MAPS™ GSM Abis over IP supports CS Domain RTP traffic with additional PKS102 licenses. Supported RTP traffic types include – Auto Traffic Tx Rx File, Tones, Digits, FAX, User-defined traffic, and IVR. With the purchase of RTP Core license (PKS102), MAPS™ GSM Abis supports transmission and detection of CS Domain RTP traffic such as, digits, voice file, single tone, dual tones, IVR, FAX*, and Video*. With regular RTP traffic, the maximum Simultaneous Calls up to 2500, and Calls per Second up to 250 is achievable. Almost all industry standard voice codec supported. GL also provides an independent GUI based GSM protocol analyzer for TDM interfaces (optional application – XX150) and PacketScan™ for IP interfaces (optional application – PKV100) for online capture and decode of the signaling in real-time both during tests and as a stand-alone tracer for live systems. Provides fault insertion, and erroneous call flows testing capability. Performance testing, Load Testing, Function	al testing, Regression testing and Conformance testing of network elements. The MAPS™ GSM Abis is considered to act as Base Transceiver Station (BTS) and initiating the call flow by sending Location Updating Request to the BSC (Base Station Controller). The DUT (BSC) on receipt of a LOCATION UPDATING REQUEST message initiates authentication process by sending AUTHENTICATION REQUEST. Also, simulates the complete call flow as in typical Location Updating Call (LUC) procedure. MAPS™ GSM Abis interface includes inbuilt scripts (*.gls) that allows itself to act as BTS initiating Mobile Originating Call and test BSC in the network. 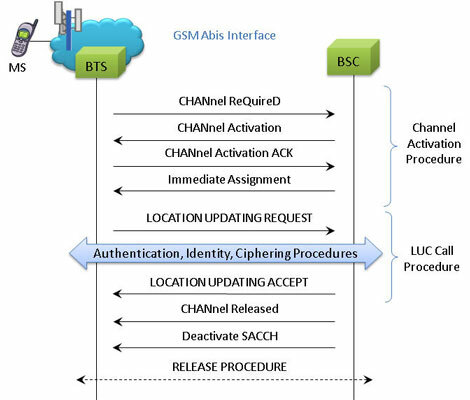 The MAPS™ GSM ABis sends Channel Required message to the BSC in the network. The DUT (BSC) on receipt of a Channel Required message, sends a Channel activation and channel activation acknowledgement message in response. 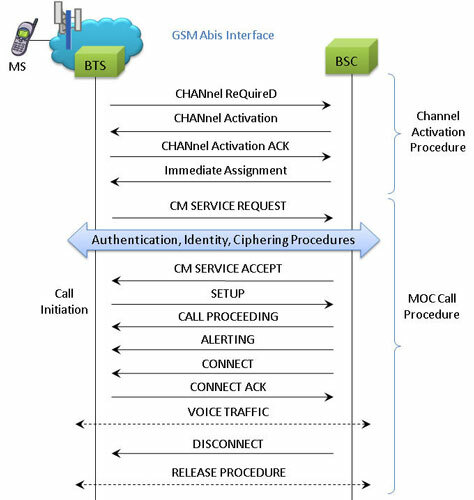 Also, simulates the complete call flow as in typical Mobile Originating Call (MOC) procedure. MAPS™ GSM Abis is located at the network as Base Station Controller (BSC) initiating the call flow by sending the Paging message to the Mobile Station (BTS). The DUT (BTS) on receipt of a Paging message, sends a Paging Response message back to BSC. This can be observed in Call Reception window at BSC node. Also, simulates the complete call flow as in Mobile Terminating Call (MTC) call flow. The signaling and traffic simulation in a call is completely implemented using scripts. Commands in the scripts are executed in controlled way to simulate protocol and traffic behavior. Most of the commands used in the scripts are generic and independent of specific protocol. MAPS™ application acts as either the Caller or resides at the network terminal acting as Callee. The Call Generation feature simulates an outgoing call by sending call control messages to the DUT using scripts and profiles. The profiles allow necessary parameters of call control messages to be changed during runtime. Call generated from other entity can be automatically detected in call reception window by pre-setting the required answer scripts in the Incoming Call Handler. The call control scripts can also automatically handle the traffic over the established call. MAPS™ supports transmission and detection of various traffic types over IP (RTP, GTP), ATM, & TDM - such as, digits, voice file, single tone, dual tones, fax, sms, email, http, ftp, and video. MAPS™ also includes support for wide range of codec rates – visit www.gl.com/traffic-simulation.html and www.gl.com/voice-codecs.html webpage for more details. Message Sequence - Each call scenario provides the trace with full decoding of the messages exchanged between the MAPS™ and the DUT, and graphical ladder diagrams of the call flow with time stamp. Impairments can be applied to messages to simulate error conditions that occur in real-time networks. Event-Driven Control - Scripts execution, being event-based, allows redirection of script execution on-the-go with user-defined events. The custom parameters in the events can also be changed during script execution using event profiles. Script Contents & Script Flow - The script flow and the contents window displays the Script Name, Sub-script Name, Script line number, and script statements to be successfully executed, which help the users in troubleshooting a particular call scenario. MAPS™ supports automated stress/load testing capabilities through Load Generation and Bulk Call Simulation features. Bulk Call Simulation allows quick configurations to easily create multiple test entries with different scripts and profiles. Multiple tests can be run simultaneously or sequentially (queue up tasks in succession). Load generation feature further allows specifying the patterns with which the bulk calls can be generated. Load generation can be customized with different statistical distribution patterns such as Uniform, Ramp, Sawtooth, Fixed, Normal, Step, and Step-Sawtooth distribution. Call duration also can be randomized using similar statistical distribution. This feature also helps users configure Stress/Load Testing parameters such as Call per second (CPS), Max Active Call, Minimum and Maximum Call Rates, Start Call Rates, and other parameters. Scheduler can be used to schedule the simulation of bulk calls or manual calls at a specific start time. The pre-saved master configuration files for test setup and call simulation are automatically loaded to automate the test procedure. The test setup profiles (.xml files) allow users to configure the necessary parameters in order to establish communication between MAPS™ and the DUT. It includes configuring parameters of the network nodes, the network properties, and transport related configurations such as T1/E1 timeslots, IP Address and port numbers for both MAPS™ and the DUT. Once the transport layer is configured properly, protocol specific signaling messages and traffic can be transmitted and received successfully. All parameters setup in test setup are global and are accessible to all scripts. These parameters initialize protocol engines and the transport modules specific to the protocol. Message Editor - The Message Templates (GL’s proprietary *.HDL files) comprises of protocol encoding parameters with preset values. It is required to create a message template for every message in a protocol. The message templates are called within the scripts to perform scenario based testing. Profile Editor – Profiles (*.xml files) are used to change the values of the fields in the messages (i.e. Message Template in MAPS™) during the course of a call. The multiple profiles with varying parameter values that allow users to configure call instances in call generation and to receive calls. Script Editor - The script editor allows the user to create / edit scripts and to define variables for the fields in the messages. The script uses pre-defined message templates to build call flow and perform send and receive actions. Script editor provides options to run the test for multiple iterations in sequential or random flow. Commands allow retransmission of messages with specific interval. MAPS™ can be configured as server-side application, to enable remote controlling of the application through multiple command-line based clients. Supported clients include C++, TCL, Python and others. TCL provides a simple scripting language, with programming facilities such as looping, procedures, and variables. The TCL Client application includes a MapsTclIfc.dll file, a packaged library that enables communication with the Server from a TCL environment. User can remotely perform all functions such as start test bed setup, load scripts and profiles, apply user events such as send digits/file/tones, detect digits/file/tones, dial, originate call, terminate call, start and stop traffic and so on. User can also generate and receive calls through commands. This client application is distributed along with MAPS™ Server application. Multiple MAPS™ CLI servers can be controlled remotely from single client application (such as TCL, Python, etc). Call Status & Message Statistics - By default, all call handling scripts (irrespective of the type of the functions) are assessed by MAPS™ to provide statistical information about Total Calls, Active Calls, Completed Calls, Passed Calls, Failed Calls, and Calls/Sec. It is also possible to categorize the statistical information as per the call handling scripts. In addition, Call Generation and Call Reception windows provide useful call status & script execution results. Events Reporting – MAPS™ provides Event Log, Error Events, and Captured Errors windows that log the captured events and errors encountered during the progress of the call. Link Status - Link Status window indicates transport related information of the protocol, for example, if SCTP is used as transport, it indicates if the association is Up or Down in the Link Status window. MAPS™ IuCS ATM uses SSCOP transport and the associated link status is indicated as Up or Down in the Link Status window.